It was a sight too sore for the blindest of eyes, and yet, it was strangely inspiring. Several dozen Padres fans met Saturday afternoon for a beautiful convention of ugliness, mixing their contagious air of team spirit and loyalty with a nauseating clash of brown, yellow and orange that was left for dead decades ago. Their attire matched that of the 1985-1990 Padres, who dressed in brown and orange, and the teams before who bravely infused the yellow. Martinez, 27, is among the founders of the official Bring Back the Brown movement, a legitimate campaign that hopes to unite and excite the Padres fan base by defiantly embracing its roots. On Saturday, 50 people dressed in retro participated in the campaign’s first monthly “Crowd in Brown,” gathering on the downtown corner of 8th Avenue and G Street and migrating to Petco Park for a Padres game. In May, Bring Back the Brown plans to fill out a 150-person section. Fans weathered a cold storm at Friday night's baseball game, which was ultimately suspended in the 9th inning early Saturday morning. Every month, they hope to expand. Martinez said he and Jordan Stark, San Diego natives who own Product Etcetera, a graphic design studio and independent apparel brand, started the movement as a passion project. They were tired of going to bars and games and seeing more fans for the opposition than the home team. They were tired of seeing such a strong resemblance between the Padres' uniforms and that of so many other major league teams. They grew up watching Roberto Alomar and other greats don the brown. Favoring the vintage to the trendy, their mindset is catching on. "We need to go back to what we are," said Jerrah McGeorge, who wore a brown sash that read "619" over an orange shirt. "Brown, orange and mustard. We're gold ... There is no argument. It's brown or bust. Do it." 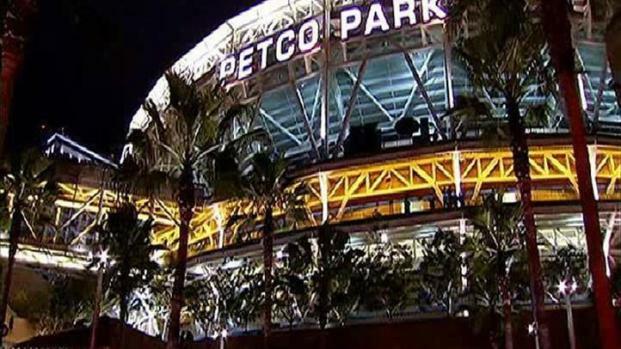 There is an online petition to persuade the Padres to make brown the organization's official color. It has about 300 signatures and is targeting 10,000. There is also an official website, and Product Etcetera has created its own line of brown clothing.